Please allow 14 business days for delivery of all hitches. The hitches on this order page are what are available for BMW motorcycles (Boxer, 1000cc, 1100cc, 1150cc, 1200cc, and 1600cc). 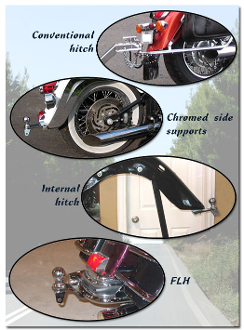 See the drop down menu on the page to specify the specific bike model/hitch model.